TEHRAN -- President Ashraf Ghani's firing of Mohammad Mohaqiq last month was more than just a political reshuffling, and stems from serious concerns over Mohaqiq's lobbying for Iranian interests, sources say. Ghani on January 24 issued a presidential decree dismissing Mohaqiq from his position as Chief Executive Abdullah Abdullah's deputy. Mohaqiq has long expressed pro-Iranian views. His recent participation in talks between opposition politicians and the Taliban in Moscow Tuesday-Wednesday (February 5-6) further underscored his dubious alliances. Late last November, Mohaqiq took part in the 32nd International Islamic Unity conference in Tehran. At the forum, Mohaqiq met Iranian Supreme Leader Ayatollah Ali Khamenei and openly supported an anti-Afghan narrative, according to eyewitnesses. He claimed that Afghans largely support Iran's war in Syria and Iraq, calling the conflict there "jihad", and he urged Islamic leaders to support Iran's military goals. In a speech at the conference, Mohaqiq hailed both Iranian interference in Afghanistan and Maj. Gen. Qasem Soleimani, commander of Iran's Islamic Revolutionary Guard Corps (IRGC) Quds Force. He expressed support for Iran's recruitment of Afghan "warriors" to fight in Syria under the banner of the IRGC's Fatemiyoun Brigade. "I thank all the warriors who co-operated in these wars from Iraq, Syria, Afghanistan, Pakistan and other parts of the world who attended the wars," Mohaqiq said, according to Voice of America. Ghani and Abdullah quickly reiterated the Afghan government's position and began distancing themselves from Mohaqiq. "Recently some certain statements were made," Abdullah said November 27, without citing his deputy by name. "However, Afghanistan is against the participation of Afghans in wars of other countries ... in line with [the policy based on which] Afghanistan seeks to provide peace and comfort to its own citizens." Mohaqiq's remarks in Tehran "stand in utter and absolute contradiction with Afghan foreign policy, national interests, stability, security and enacted national laws", the Afghan Presidential Palace said in a statement November 29. "We have come to know via some Afghan counterparts that for President Ashraf Ghani no other option was left except for the removal of Mohammad Mohaqiq ... as he was compromising national security," a senior Pakistani intelligence official serving on the foreign desk told Salaam Times on the condition of anonymity. "This is not the first time that Afghanistan has acted to neutralise Iranian influence in the country," he said. "Previously, officials in western Afghanistan have raised serious reservations over Tehran's meddling in Afghanistan." "Afghan officials believe that the IRGC is providing shelter, arms, money and other logistical support to militants in Afghanistan," he said. "The recent developments in peace talks with the Afghan Taliban are wholly against Iranian strategic interests; therefore, Iran may create hurdles by utilising its proxies in Afghanistan," he said. Mohaqiq not only undermined Afghan interests while in Tehran but compounded alarm in Kabul by joining recent talks with Taliban representatives in Moscow, said Akhter Zaman Raeesi, a Khost Province businessman and one-time parliamentary candidate. Mohaqiq has refused to step down from his position and was introduced at the Moscow meeting as Afghanistan's deputy chief executive. The talks, however, excluded his own government, making him complicit in an international insult to Kabul. "Amidst the peace process, the Afghan leadership is very concerned for the political future of the country," Raeesi told Salaam Times, adding that Mohaqiq was removed because of his "two-faced behaviour". "All of the groups that are working [in Afghanistan] for foreign agendas need to be brought to justice," Raeesi said. "In their quest for power, some politicians in Afghanistan are gravely violating the integrity of the state," he said, adding that other politicians in some provinces are "linked with Iran and working to establish an Iranian monopoly in the country". However, "Mohaqiq and his allies will never accomplish their goals as now the Afghan nation is very much aware of the anti-Afghan [Iranian] regime," he predicted. "We do not expect any good gesture from Iran as it has always interfered in Afghanistan for its own interests," he said. Mohaqiq's actions are worrisome and damaging, agree other observers. "Mohammad Mohaqiq was a key source of growing Iranian political and military influence in Afghanistan," Kabul-based senior political analyst Wakeel Jan Mohammad told Salaam Times. "The peace process is a matter of Afghanistan's survival and integrity," he said, adding that Mohaqiq has openly lobbied for Iran's agenda in peace talks with the Taliban. "Mohaqiq is arguing for and supporting Tehran’s blatant meddling and backing of militancy in Afghanistan." "In my judgment, the Afghan government will never let Iran gain influence on domestic matters," he said. Peace in Afghanistan is essential for peace in the entire region, Mohammad said. "All neighbouring countries must support the peace process in Afghanistan." If the Taliban are truly sons of Afghanistan, "they must not tolerate Iranian interference", he said. "Iran has a very strong hold on influential groups from the non-Pashtun region of the north, west and some other central parts of Afghanistan," a Kandahar-based senior Foreign Ministry official who previously served in the Afghan consulate in Quetta, Pakistan, told Salaam Times on the condition of anonymity. "I can confirm that Afghan officials dealing with the national security of the country have enough solid evidence to prove that Tehran is providing weapons to the Taliban in Farah, Herat and other western provinces of Afghanistan bordering Iran," he said. Iran's agenda, though, is too much for even some Taliban members to stomach. 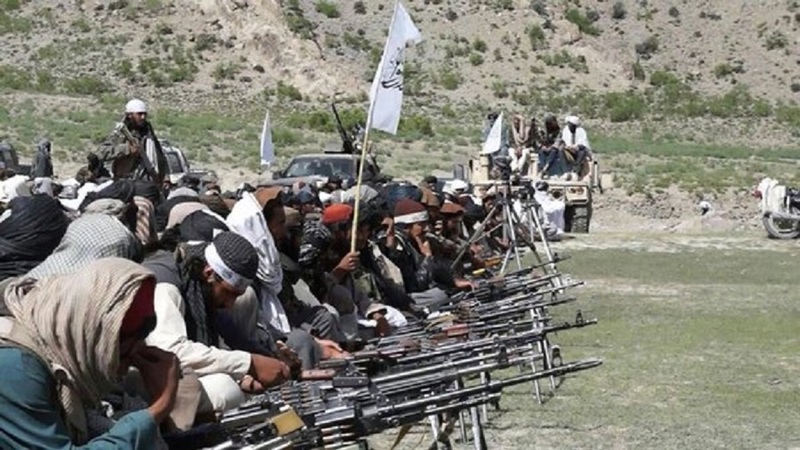 "Iran-linked Afghan Taliban tried their best to create some space for Iran's agenda in peace talks with [US Special Representative for Afghanistan Reconciliation] Zalmay Khalilzad," said Ghulam Abbas, a senior Islamabad-based defence analyst. "However, the central leadership of Taliban is against the Iranian narrative, and therefore that attempt has not succeeded yet," he told Salaam Times. The United States has insisted in its talks with the Taliban that the only solution for lasting peace in Afghanistan is intra-Afghan talks. "A key reason for Mohammad Mohaqiq's dismissal was the suspicious role he was playing for Iranian interests," said another Mohaqiq critic, Rashid Ahmed, a professor specialising in Afghan affairs at National Defence University in Islamabad. "Mohaqiq was not only supporting Iran's anti-Afghanistan designs, but he was also found meddling to build a pro-Iran narrative in Afghanistan," he told Salaam Times. That narrative emerged in recent remarks by Iranian Foreign Minister Javad Zarif. "I think it would be impossible to have a future Afghanistan without any role for the Taliban," Zarif said January 9 in an interview with NDTV. Iran started formal talks with the Taliban for the first time in December. "Iran claimed that in its recent talks with the Taliban that the Afghan government was on board," Ahmed said, adding that Afghanistan rejected that claim and vigorously denounced Zarif's support for a Taliban role in the future of Afghanistan. Given Iran's continued interference in Afghanistan's internal affairs, Ghani must have had good reason for sacking Mohaqiq, he said. The president likely consulted national security officials before removing Mohaqiq for "explicitly acting on Tehran's advice", he said. "Iran is trying to expand its influence in western Afghanistan ... and assert a role in Afghanistan's future," said Ahmed. To achieve those goals, "Iran may also create some political conflicts in Afghanistan via its proxies." 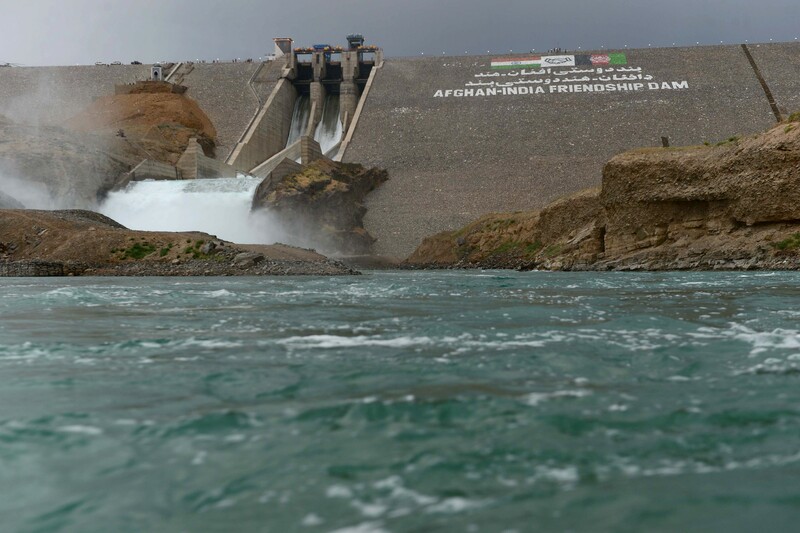 Following the orders of Tehran, the Taliban have set their sights on disrupting key infrastructure projects in Afghanistan in an effort to keep the country weakened, officials and former Taliban members say.